Plants, laboratories and know-how to forge innovation as well. In industrial history, metallurgy is one of the motors of the primary economy, and in virtue of this feature, has always been the subject of innovation and investment in Research & Development. We change international standards, application possibilities increase and change and, as a result, so do the requirements of steel and the finished product. Our daily commitment is to adapt to the most stringent international standards and be in line with the most sophisticated parameters. 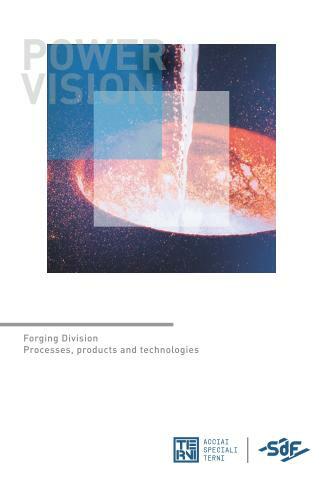 We have dedicated ongoing research work to this commitment, aimed at perfecting and rationalising technology, as in the case of optimising forging and heat treatment cycles or studying the solidification of heavy ingots by means of mathematical models. Another activity is for the application on an industrial scale of new technology, such as extruded nodes for off-shore platforms and monobloc channel heads with integrated extruded nozzles And where sophisticated equipment is required, the Forging Division of Acciai Speciali Terni is supported by Centro Sviluppo Materiali (CSM – Materials Development Centre). This invaluable co-operation combines basic research with the effectiveness of research aimed at problem solving. The high level of quality of our products is due to a combination of key factors: technologically advanced facilities, the level of the laboratories and equipment and, above all, the contribution of a specialised engineering team, highly qualified for the very complex and delicate job of analysing materials.